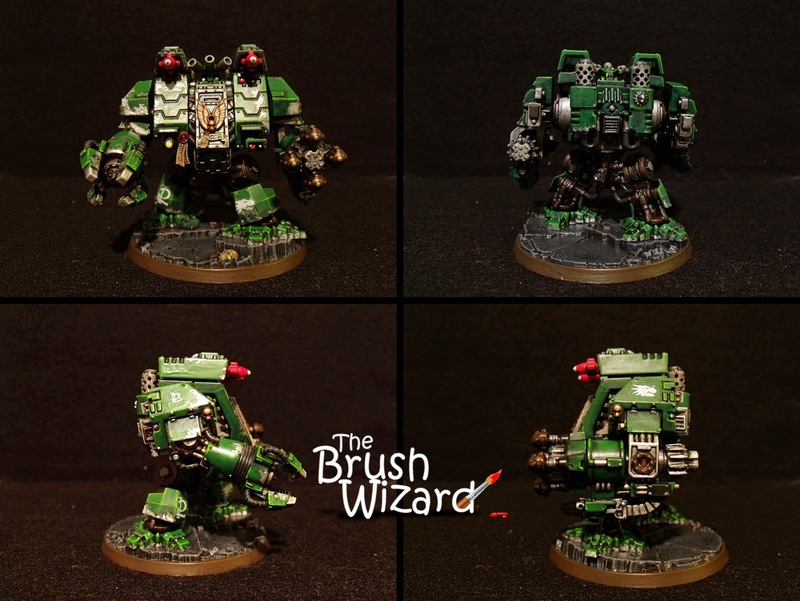 Brush Wizard: 2015 Year in Review! 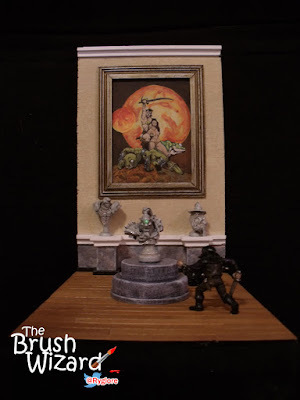 The Brush Wizard's 2015 Year in Review! For starters, I wrote up a to-do list of projects that have been floating around my head. Normally, I wouldn't do this, but I felt like I had some Project ADD going on and need to sort it all out. That being said, I was able to knock out 5 of the projects. Most of them didn't get past the idea stage and a few of them are more than likely going to be permanently canceled. It was nice to have a list of ideas to go off of, but it also felt constraining. This year also saw the return of the WIP posts. Since I've been working on a lot of display pieces, with a lot of details and time between beginning and end it seemed like a good idea. Plus it lets me show the process off a bit. With the reintroduction of WIP posts, I've ended up posting more than I've ever done before (over 80 posts this year, that's double last year's total). That makes 2015 a great year for painting and projects! 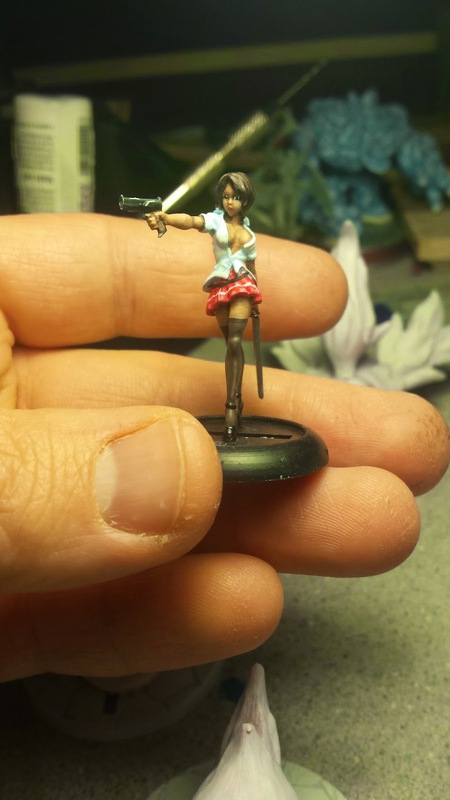 In October I finally bit the bullet and submitted some of my work to Reaper Miniatures to see if I could get in to their freelance pool of painters. But as of yet, I haven't heard anything from them. Though I think because I use a mix of paints, rather than their paint line exclusively, that might have hurt my chances. They say you can re-submit ever 3 months or so, so I'll work on upping my skill level more and send them another email later on in 2016. 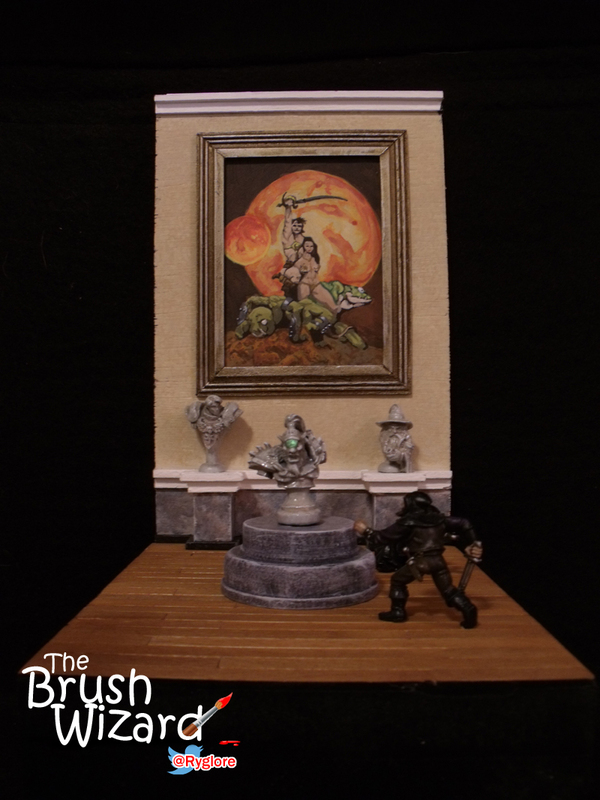 Either way, 2015 was an excellent year for The Brush Wizard. Without further ado here's a run down of everything that happened in 2015! Thanks to the Red Box Games Kickstarter campaign a few years ago, I was able to pick up some sweet zombies and a necromancer. After months of deciding how to layout the diorama, I finally got started on it. It turned out to be one of the most time consuming projects I've done to date. But man, was it worth it. Soda Pop Minatures released a card game a few years back called Tentacle Bento. It's a suit matching game with a bit of tongue in cheek humor. Well, this year they started making miniatures for it and expanding the game with new cards. Here I show off the new minis and one of them I painted. Super Dungeon Explore, while my favorite board game ever, is a complete pain to store. It doesn't help that I don't like mixing my tokens either. But thanks to my Photoshop skills, a Plano box and some sticker paper, a fancy custom token box was made! My first ever, and so far my only commission was done this year. 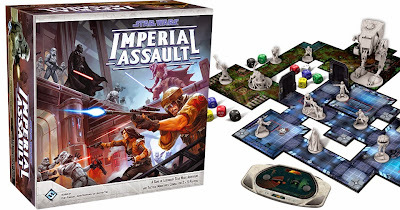 It was for the Star Wars: Imperial Assault board game, by Fantasy Flight Games. It was a fun project to do and was interesting to work with someone else on a project. It turned out well and the client was super pleased with it too. But I found commission work to be stressful and likely not for me. 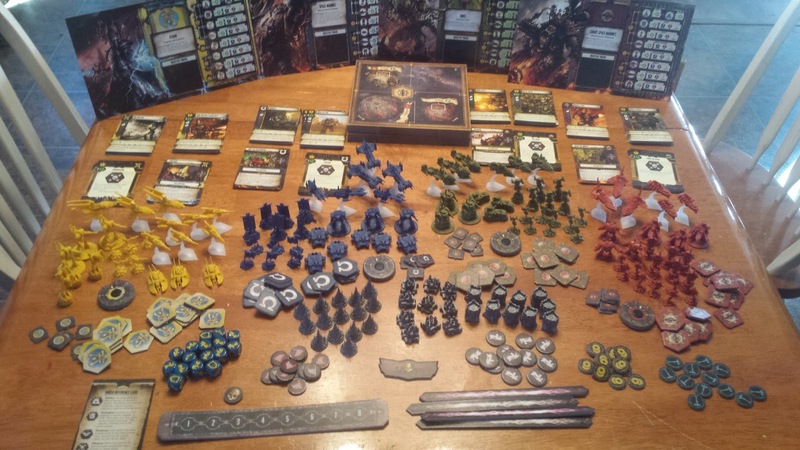 The Kickstarter rewards for Super Dungeon Explore: Forgotten King arrived this year, though they were shipped in two separate shipments. I did unboxing posts for both Wave 1 and Wave 2. Earlier this year a call was made on Twitter by @evilkipper to gather an army's worth of Warhammer 40k models and raffle them off for charity. I thought this was an excellent idea and a great way to give back to the #warmongers community and jumped at the chance to join in. This year I started my first ever Warhammer 40,000 army (even though I don't know anyone that plays). I fell in love with the new Skitarii faction and used some of my tax return funds to cover it. One of the models released was a walking tank called the Onager Dunecrawler. 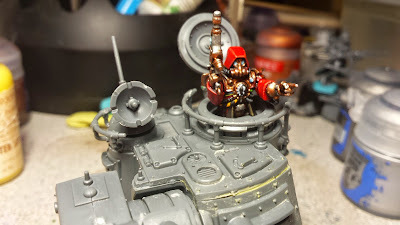 I nearly instantly had an idea to convert the gunner into a commander and used some extra bitz from the Skitarii Rangers/Vanguard box to pull it off. The rest of the army sits assembled and unpainted in a box, sadly. The second of the minis I painted from the Red Box Games Kickstarter rewards. Yrsa was the 2nd mini from the campaign that I picked as I thought she's a really nice mini. This was the first time I used nearly all natural items for the base, relying on sticks and moss. I consider this piece to be one of my best ever. One of my holy grail games, I was finally able to get my hands on a copy of Space Hulk in December of last year. Luckily it didn't sit unpainted for long and I was able to knock out the entire set this year. While I aimed for a more tabletop quality, I still spent a bit of quality time on each mini, these pieces turned out great and having it painted adds a lot to the feel of the game. SDE: Caverns of Roxor 100% Painted! With the Turtles already painted last year, I was able to finally finish the Caverns of Roxor expansion pack for Super Dungeon Explore. I kept putting it off due to the fire effects needing to be all painted in one go, but it ended up not being that bad at all. They really helped me solidify the fire technique as well. The Great Cyclopean Gemstone Heist! This project took me 6 months to complete. Mainly because I went over my depth with it and also burned myself out with it. I did try my hand at freehanding artwork though and am really pleased with it. But the best part about it is the Cyclops Bust centerpiece, which lights up via a modified LED tea candle. Pinned Down, Taking Fire was a huge departure of theme for me. I usually stick with Fantasy or Sci-Fi Fantasy. But this is a modern military piece. When making it, it was filled with highlights from shooting the wall with a bb gun to break it, to having painting camo for the first time ever and nailing it, to the Twitter folk's complimenting it every step of the way. It was a great project to work on. While I always try to explain my process in my posts, such as explaining the Genestealer wash technique. I always thought that maybe I should do that sort of thing in an actual tutorial form. So, in August, I finally decided to hop on the tutorial train thanks to Pinned Down's Camo and Super Dungeon Explore: Von Drakk Manor's Skeletons. 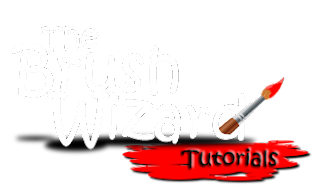 With that, The Brush Wizard Tutorials were born. After years of not using Facebook for anything, I finally was dragged back to it thanks to Twitter. 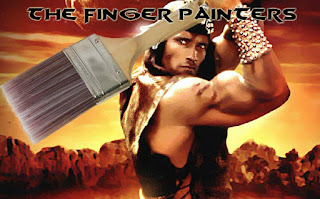 I joined the Facebook group, The Finger Painters, a group for miniature painters. They hold a monthly competition where the previous winner picks a theme and each member paints up a mini of their choice to fit it. Along with the Finger Painters, I also joined in another friendly painting competition hosted by @paint_hammer. Similar to the way the Finger Painters do things, Paint Hammer's #paintchallenge is a friendly challenge to see who can paint the best mini. But this time, everyone has to paint the same miniature. Unfortunately, I was only able to take part in one other these competitions this year. 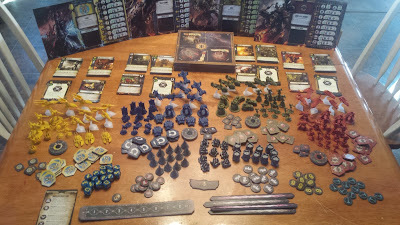 This year I hosted Super Dungeon Explore at the U-Con Gaming Convention in Ann Arbor, MI. In a marathon painting session, I painted up all of the things I needed. Rather than the Forgotten King set, I opted to bring all the Von Drakk themed monsters instead, along with the 5 new heroes. It was great fun, everyone that played in my SDE game seemed to enjoy it and I got to play tons of new games. The weather got in the way of a few times though, but overall it was a great time. U-Con related articles: Hosting SDE at U-Con 2015, U-Con 2015 Schedule & Registration, WIP #1, WIP #2,WIP #3,To U-Con! SDE: Von Drakk Manor 100% Painted! 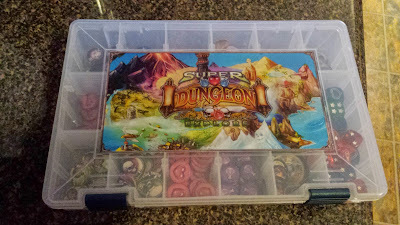 Thanks to U-Con I was able to knock out another expansion pack for Super Dungeon Explore. This time, it was Von Drakk Manor, which has come to be my favorite set to run so far. Plus out of painting these, I ended up writing two tutorials in the process, win/win. Frostgrave grabbed me pretty had and I started making up a bunch of terrain. The first piece I finished was this statue of a knight on horseback. Its no secret that I'm a fan of Warhammer 40k, even though I never get to play the actual game. I love the universe and the miniatures from all the different factions are sweet. After U-Con, I finally decided to snag a copy of Fantasy Flight's new space battles game Forbidden Stars. The final big project of 2015 was originally meant to be a Finger Painters entry, but I got carried away with creativity and failed to have it finished in time. This was my first in-depth scratch build using foam board and features ReaperCon 2015 Sophie, by Kev White of Hasslefree Minis fame. 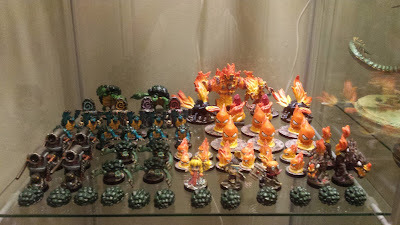 So that's 18 projects completed in 2015, with a total of 224 miniatures painted! That's a whole lot of metal, plastic and paint. The board games, Star Wars: Imperial Assault, Space Hulk and Super Dungeon Explore helped that total a lot too. 2015 was a great year for hobby. Next year you can expect a lot more Super Dungeon Explore, possibly my AdMech: Skitarii army and many more dioramas. Not to mention the Ninja All-Stars unboxing and much more. Lets see what happens in 2016, shall we? So many of your projects I have enjoyed watching you complete/work on in 2015! All amazing work!! Looking forward to seeing what you have in store for 2016! Also ill keep my fingers crossed that you hear back from reaper. It actually surprised me, just how many things I did this year. I have a list of things I want to do in 2016, one of which is a project that's been on the back burner for a few years. 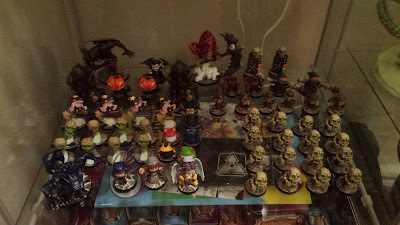 Then there's all my Frostgrave stuff and the Skitarii army. It's gonna be a busy year.